Maine has a population of fire ants that are not the same as what many consider to be a southern united states pest. We have a unique stinging fire ant called the European Imported Fire ant. Fire ants sting and HURT! The European Imported Fire Ant has been a problem on MDI for many years. Homeowners, landscapers, tourists are all vulnerable to bites and stings. Keeping your guests and family protected is a service we can provide to you if they are nesting around your landscapes. 4 separate visits we will apply a granular bait around your landscape to manage their population. A bait treatment to manage these pests is far better method as they will bring it back to the colony and destroy the nest. Introduced Mid 20th century the fire ant aggressive to other native ants and will quickly dominate native foragers and displace from their habits. They are able to coexist however their defense mechanism (sting or chemical spray) is overpowering. Found mainly in the northeastern United States. It was first discovered in Massachusetts in 1908. 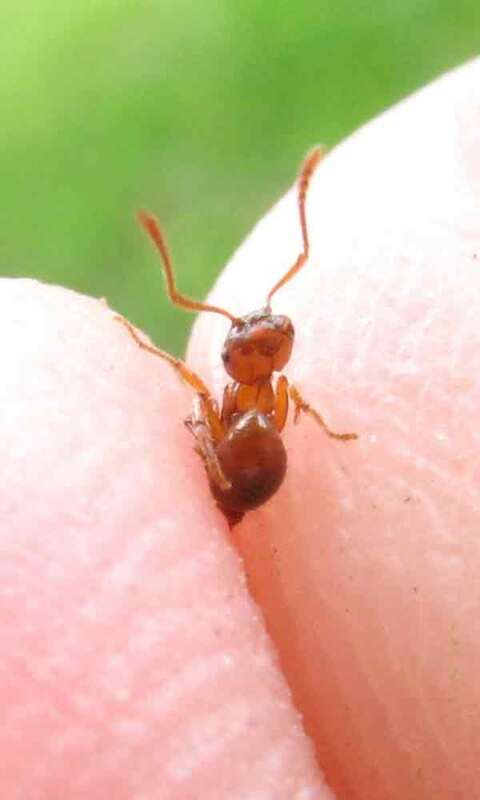 The first reports of red ants stinging people in Maine occurred from the late 1960s to the mid-1970s, but it was not until 1986 that the species was confirmed as Myrmica rubra. Since 2001, entomologists at the University of Maine have conducted periodic surveys to determine the movement of and the area colonized by the ant. In Maine, the ant is restricted to humid places along the coast. However, colonies have been reported at inland locations and there is a concern that the ant is capable of establishing in these new areas. We have confirmed cases in Ellsworth, Bangor and surrounding areas. The life cycle in the United States is still being studied. When disrupted, the ants will deliver a painful sting which has in a few cases produced severe allergic reactions to the venom including anaphylactic shock. Foraging both on herbaceous plants, shrubs and trees in combination with the cryptic nature of their nests, the probability of people and their pets inadvertently disrupting the ant’s activities is very high. 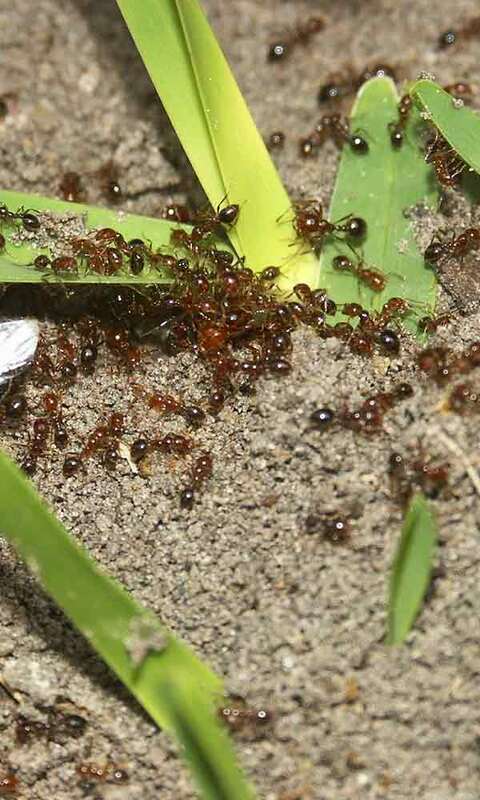 As part of our fire ant protection service, we utilize a method of fire ant control aimed at eliminating the entire colony using the most environmentally responsible means available to achieve that goal. In neighborhoods with especially high fire ant concentrations, year-round prevention is the recommended choice for control. This fire ant control service guarantees year-round protection. 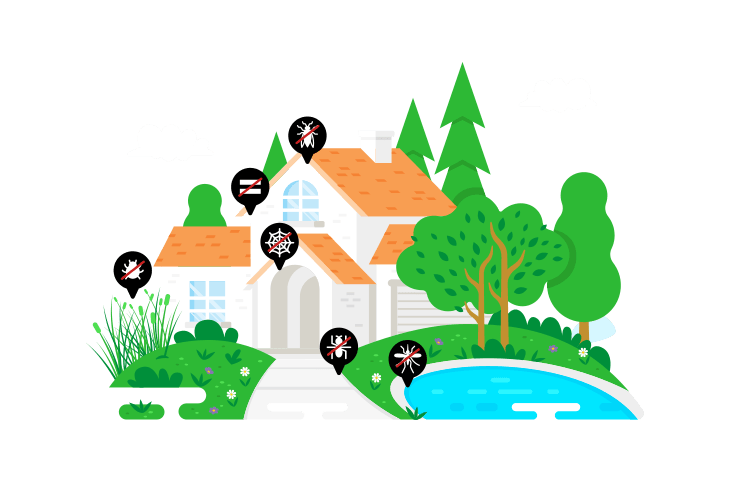 If fire ants invade your yard, we have the expertise to treat the infestation so you can reclaim your yard and enjoy your property to the fullest. 3 separate visits 40-55 day cycles. Individual treatments per request. Treatment areas can include mulch beds, property perimeter, patio surroundings and other areas near nesting sites. Pests covered: European Fire Ants.